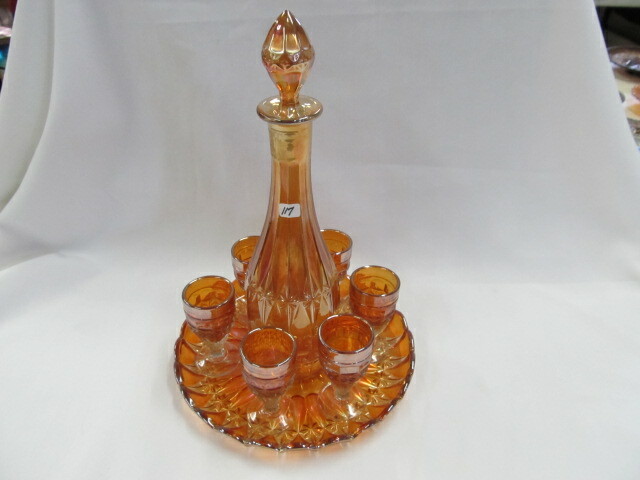 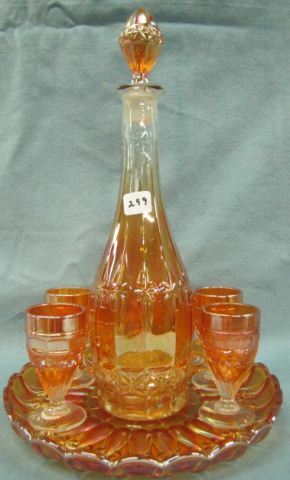 A rare pattern, this wine or cordial set has 4-inch tall glasses. 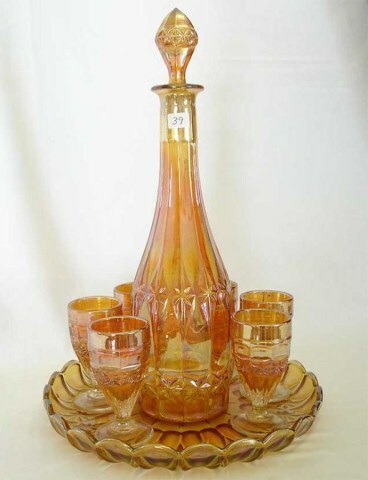 This set was in the collection of the late John Britt. 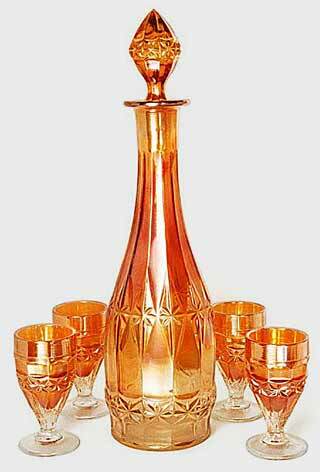 The maker is believed that either Cristolerias Piccardo of Argentina or Brockwitz of Germany .